Fleets will find out if they have been selected in June. The event will take place Oct. 8-25 with the winner announced Oct. 27 in Atlanta. 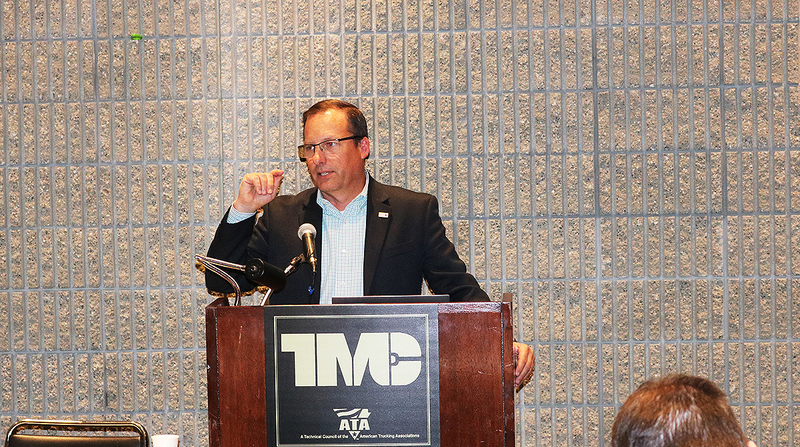 “This is all part of not wanting to repeat what we did in 2017, but do something new,” NACFE Executive Director Mike Roeth said at a news conference March 17 that was part of American Trucking Associations’ 2019 Technology & Maintenance Council annual meeting. NACFE said regional driving is becoming a larger segment of the industry, especially as e-commerce continues to grow. The Census Bureau said 2018 third-quarter U.S. e-commerce adjusted sales were nearly $131 billion, a 14.5% increase from the same period in 2017. From 2009 through the midpoint of 2018, online sales jumped from less than 4% of the retail marketplace to 10%, and experts say that number is expected to increase. That means more drivers are operating from local and regional warehouses, and, in many cases, driving in smaller geographic areas. Roeth said it’s not just the changing economy that caused the organization to decide on a different type of competition. “You have truck drivers wanting to be closer to home,” he said. “We hear things like they want to be one drive away from home, so they can get home in a day if they have to and they want to be home with their families more often. And big fleets are saying they can’t even hire drivers if they even talk about being out two to three weeks,” he emphasized. Roeth said he expects a diverse group of fleets to enter. The first “Run on Less” competition in 2017 was a cross-country road show that demonstrated the fuel efficiency of Class 8 trucks in over-the-road operation. The seven trucks in that three-week event averaged 10.1 mpg throughout the event. NACFE said it hopes to have 10 drivers from 10 companies nationwide involved in the event, and the organization is seeking input from industry stakeholders on what the regional run should look like, what duty cycles should be included and what should be measured. Drivers or fleets interested in competing can get more information at runonless.com or NACFE.org.